I’m sure that, on more than one occasion, you’ve heard the saying “just be yourself.” It seems like no one at Capcom is familiar with that age-old adage. 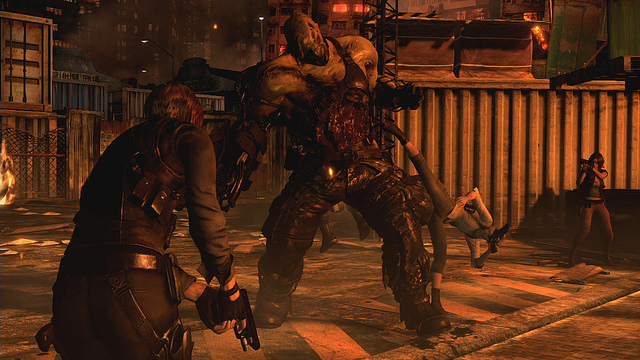 Just like its predecessor, Resident Evil 6 is a departure, or as Capcom would likely rather say, a “fresh look”, for the franchise. Where, in some cases, change and fresh ideas can be a great thing. Other times, it can backfire. Resident Evil 6 just so happens to be the latter. Read on to find out why. 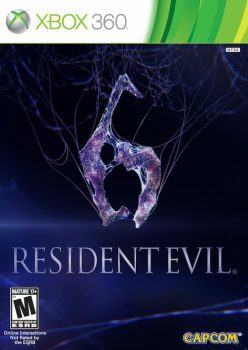 If you can remember back to right before E3, the Resident Evil 6 announcement played second fiddle to its questionable (when you see it, you’ll know) logo. But, after the laughter dwindled, we were introduced to what really mattered: the gameplay. Quicktime events, while not entirely new to the series, would become re-introduced as a prominent storytelling component of the title’s more action-heavy gameplay. Here at the site, we jokingly referred to it as “press ‘X’ to Leon”, as the E3 demo showed mostly QTEs for the majority of the time. This couldn’t be the actual game, right? 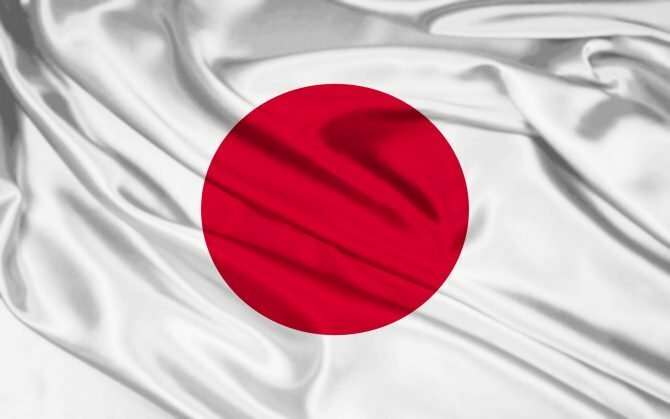 Capcom wouldn’t abandon tradition. Well that’s what we thought too. The first victim of the QTEs is the game’s pacing. While the story isn’t particularly bad (mostly par for the course for a Resident Evil title) it’s the constant interruption by QTEs and other in game events that throws things for a loop. Just when you’re beginning to get information about why you should care about what a particular character is saying or feeling, it’s time for another sequence. It’s actually fairly disappointing. I know it’s a survival game and all, so I’m not expecting Pulitzer prize-winning writing here, but why even bother trying to tell a story if you’re going to constantly throw a wrench into the action? As if Resident Evil stories aren’t convoluted enough, RE6 ensures that any new players will have absolutely no idea of what’s going on. 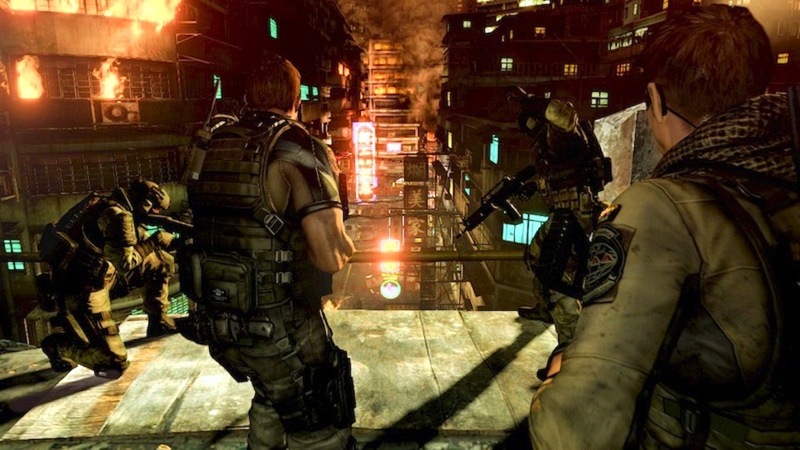 The game features three separate campaigns (featuring two characters in each) that are eventually connected to one another. While fans will enjoy the return of series favorites Leon and Chris, I’m certain that they’ll agree that all others are just simply not as interesting. Jake does shake things up with his hand to hand combat, but when you realize that you can roundhouse kick heads off with other characters (and you will, a lot), melee attacks with Jake simply lose their flair. 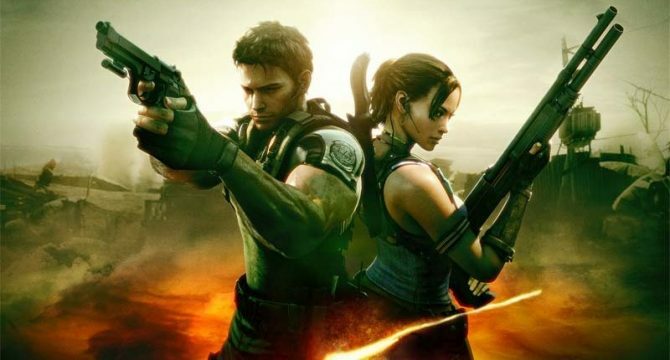 Since each story has a pair of characters who seldom separate, co-op gameplay has also made its return. 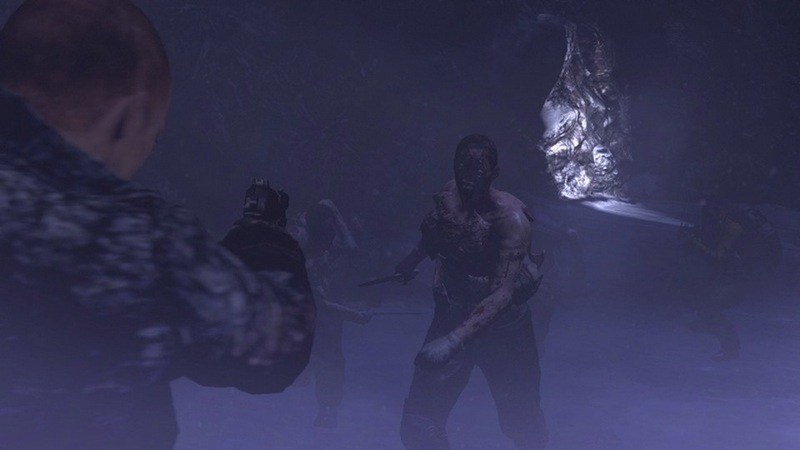 Sections where players have to split up are still prevalent, but for the most part, the campaign is spent pummeling the infected as a duo. Your AI partner can actually hold his or her own this time around and is smart enough to come and revive you when needed. But playing with an actual human on the other end turns the game into an online shooting gallery. Playing co-op on “normal” will be, for most, a walk in the park. Sure, bullet preservation is still the name of the game here, but the infected enemies (when killed) will make it rain ammunition, so you can let loose knowing that you’re always only a few roundhouse kicks away from loading up those magazines. Another aspect that is never expanded on are the games elementary level puzzles. I mean, c’mon. You have two people playing the game, why not make things challenging to the point where you’ll have to actually use your head instead of just having one person pull a lever here and have the co-op partner go there. It’s easy to the point that puzzles aren’t even fun anymore. They’re just another another obstacle that, like the QTEs, are placed in there to break the game’s pacing and nothing more. The final straw that broke the camels back, for me, is the game’s unbearable camera. I guess the best way to describe it would be claustrophobic. It’s literally on top of your character, which is not only bad for tighter areas, but also makes it incredibly frustrating in the open. It gives enemies access to you before you see them, which doesn’t necessarily give the game more depth, it’s just a cheap parlor trick and a way to make things seem more intense than they really are. It is without a doubt RE6’s biggest flaw. I don’t want to sound overly negative, as the game does have it’s bright spots. Voice acting and dialogue aren’t bad by any means. Honestly, if it wasn’t for the constant change of pace, it’s probably the best the series has had thus far. The game’s visuals are certainly polished and in line with what you should expect at the tail end of the current console cycle. 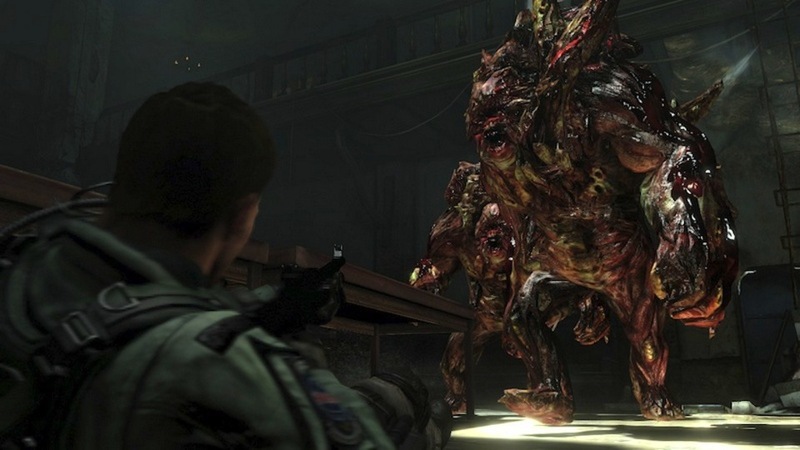 It still has the ability to create that familiar Resident Evil atmosphere with its long, dark corridors and spooky lighting. The audio department isn’t too shabby either. Whether it’s the footsteps of a quickly approaching enemy, or the panting of a running infected dog, the directional surround sound effects combined with the frantic “oh dear, I’m in trouble” music certainly help build upon some of the game’s excitement. And of course, slowly opening doors look and sound as creepy as they did back in the day. So where did it all go wrong? I guess the jury will still be out on that question, but following my play-through, all I can say is that we have a decade old franchise that it trying to be everything that it isn’t and not enough of what it used to be. When you have Japanese developers calling each other out about adapting to western audiences, this is the unfortunate byproduct we’re left with: a survival horror game, trying to be a co-op game, trying to be an action game. Sadly, it’s trying not to be particularly good at any of those things. 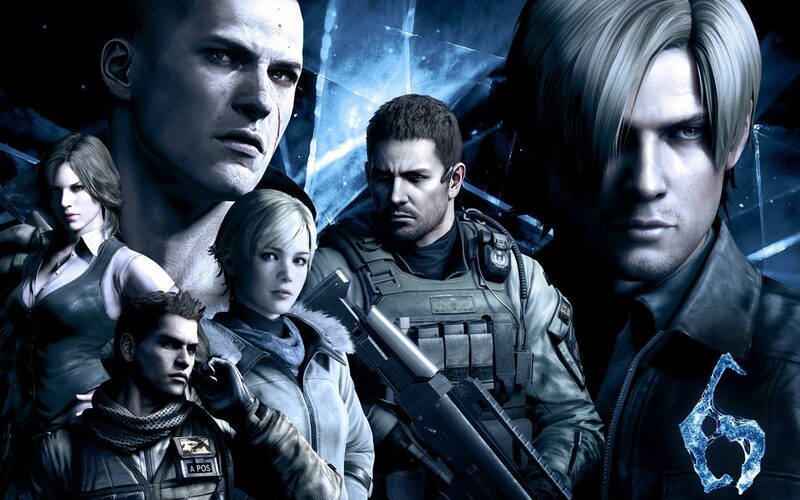 Resident Evil 6 isn’t simply a bad game when compared to its predecessors, unfortunately it’s barely passable as an enjoyable game at all. Mediocrity at its finest.